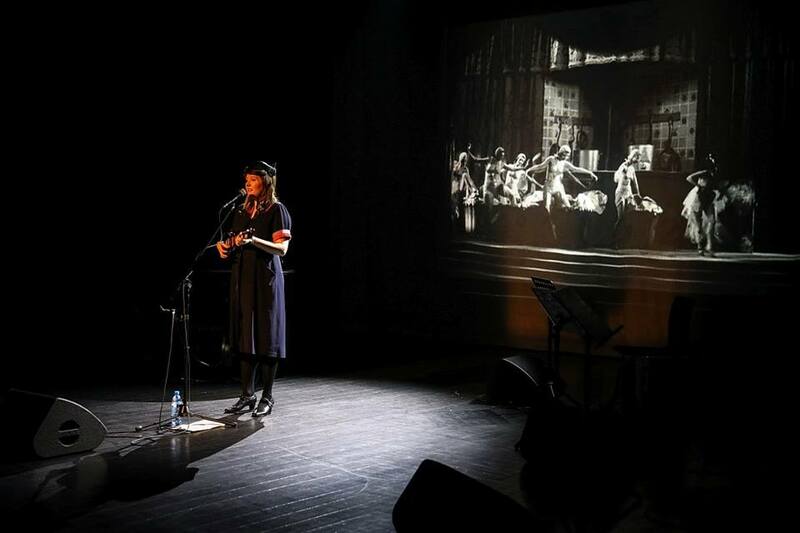 Fotos by Grzegorz from 6th Nov 2017 Aula Jagiellońska, Collegium Maius, Jagiellonian University, ul Jagiellońska 15, 31-010 Kraków which was a concert in honour of the Polish Professors who were transported to Sachsenhausen concentration camp for extermination in Germany at the beginning of WWII. KRAKOW. 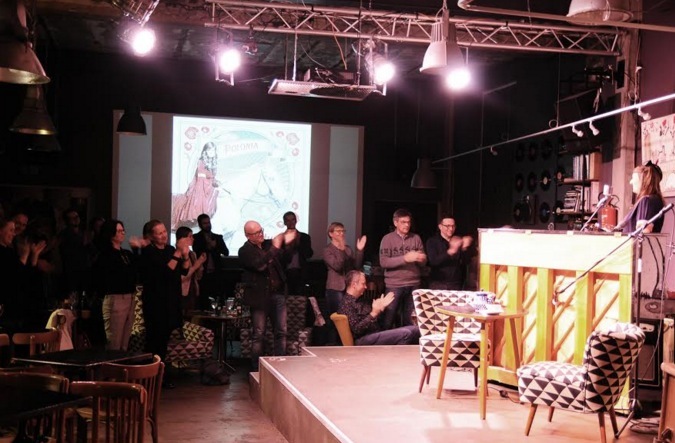 On Monday, November 6, at the Collegium Maius, a Katy Carr concert was held. The artist chose Collegium Maius as one of the stops of her "Memory Tour Tour". 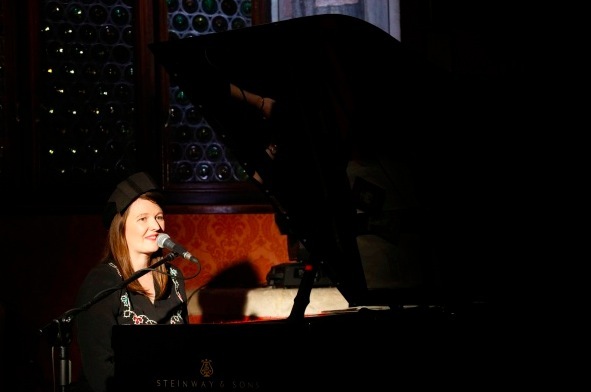 Katy Carr got to know this place two years ago by making a video for the song "Polonia" from a CD with the same title. 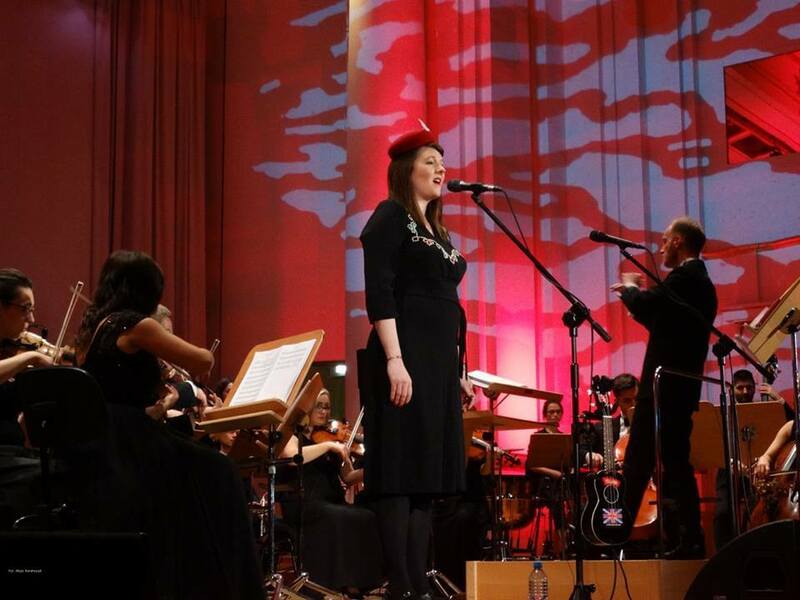 Polish-British singer performed works inspired by historical events and tragic fate of Poles during the war. 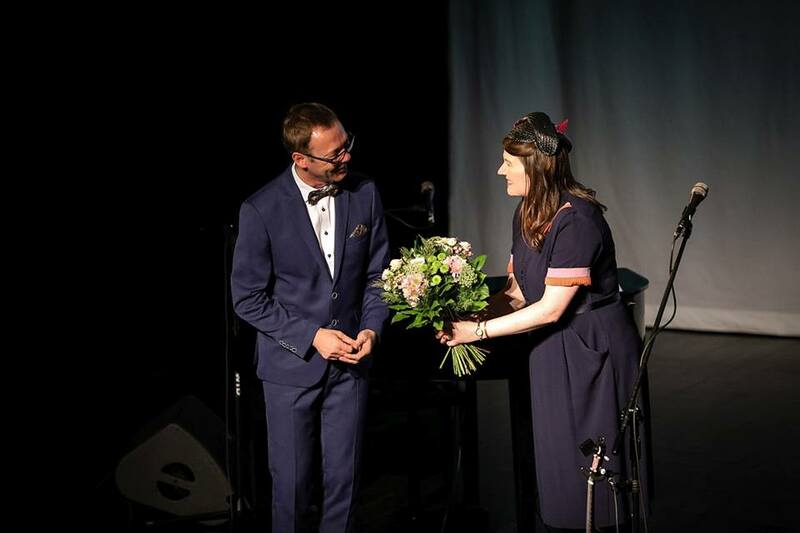 The artist performed well-known works such as "Little Little Flower", as well as their own arrangements of Polish patriotic and military songs such as "Wojenko, wojenko" or "O my rosemary". 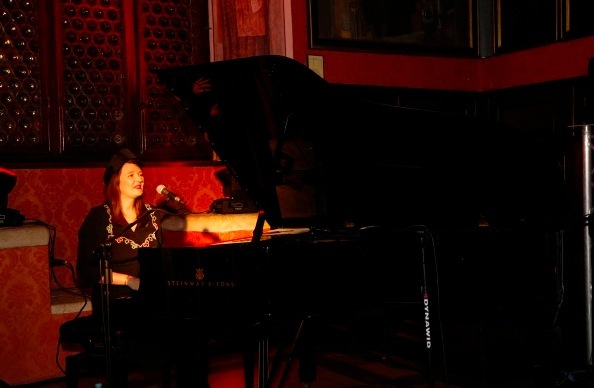 Katy Carr also sang with Mieczysław Święcicki "Grande Valse Brillante", a song that once was performed by Ewa Demarczyk in Piwnica pod Baranami. 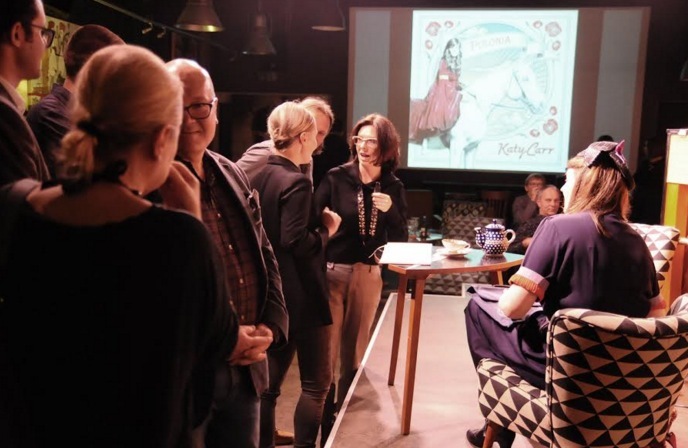 Considering that the artist refers in her work to the most difficult moments of Polish history, and her concert fell on the anniversary of the arrest of professors In 1939, Katy Carr celebrated their memory. 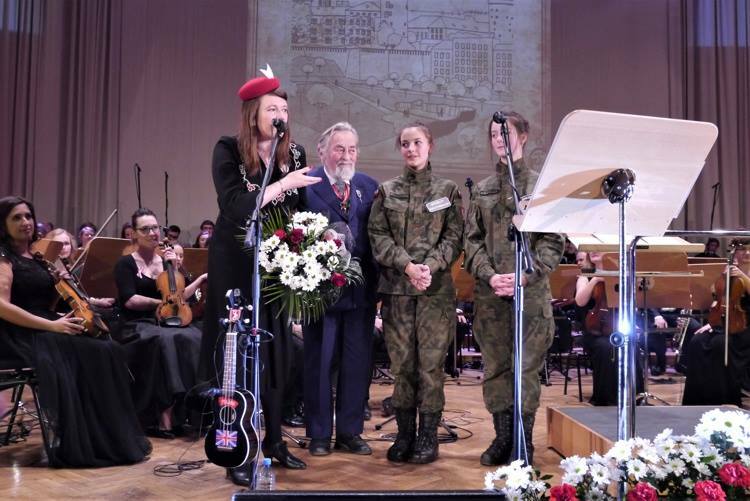 An assortment of Fotos by Alicja Kondraciuk and Eliza Siegat from the concert on 11th November 2017 at the Filharmonia Krakowska in honour of Independence Day in Poland and Remembrance Day (GB) to commemorate the efforts of the Freedom Fighters who fought for an Independent Poland across the centuries. 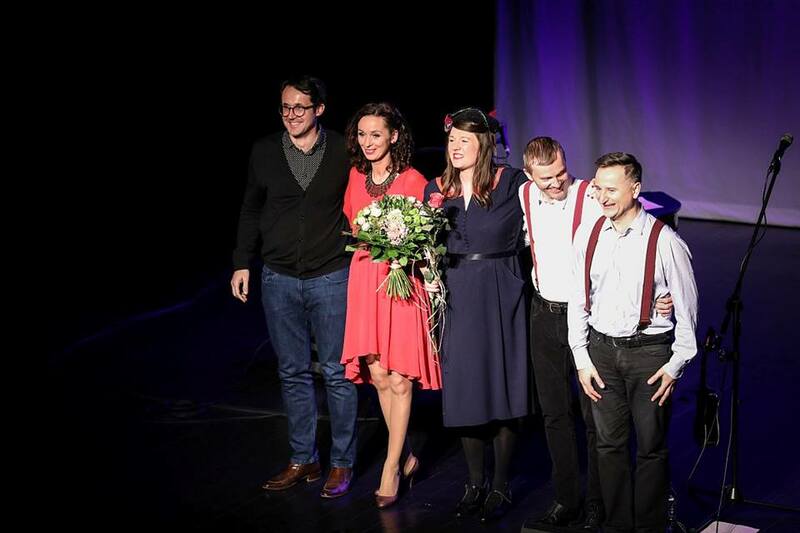 With special thanks to the concert partners : Ribbon of Memory Foundation, the City of Krakow and the Narodowe Centrum Kultury and with very great thanks to teh wonderful Passionart Orchestra. 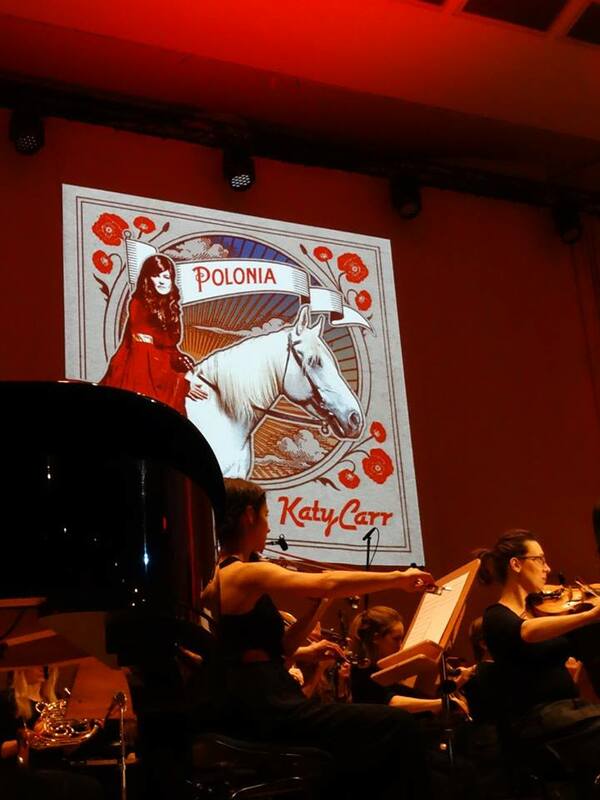 Katy Carr performed her songs with the PassionArt orchestra with over 150 musicians who are based in Krakow. 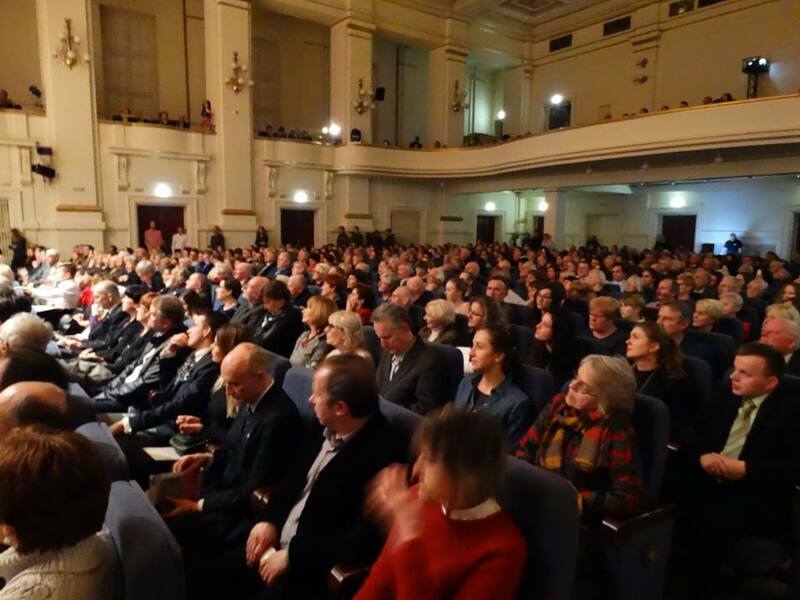 Packed audience at the Krakow Filharmonia - over 1200 people were admitted and people were turned away with regret as spaces were limited. 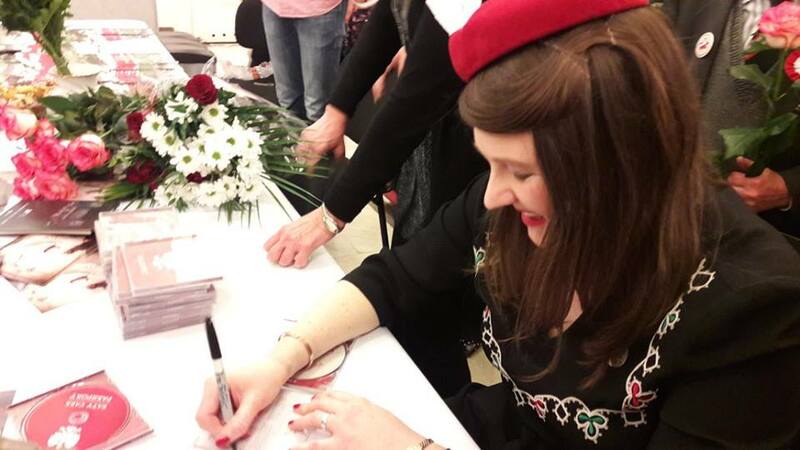 KATY WITH KRAKOW BASED POET AND WRITER ELIZA SIEGAT - thank you for the photos Eliza ! 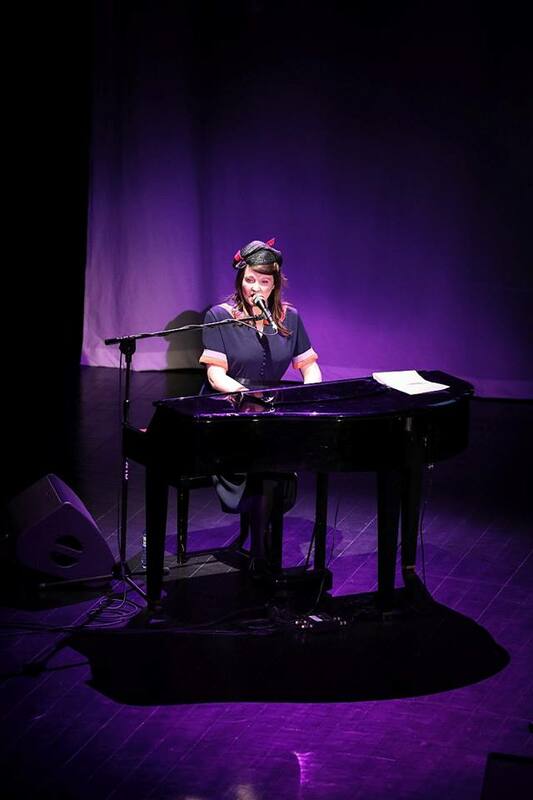 Foto by Krzysztof Kubański ON 12th November 2017 at Katy Carr and The Aviators - 'wROCK for Freedom' CONCERT at the Klub Muzyczny Stary Klasztor - Katy is working out what to play for her encore ! 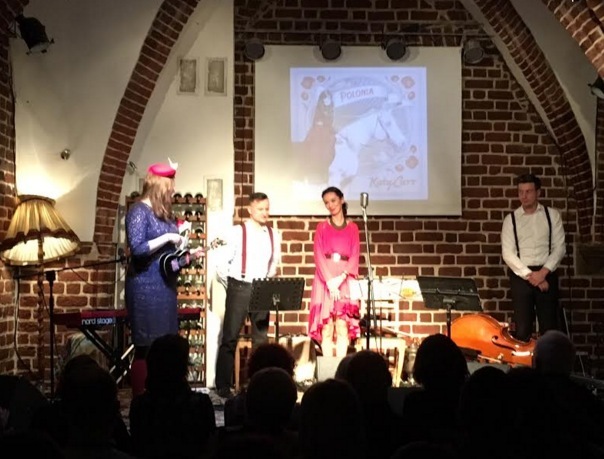 Special thanks to Katy's Polish Aviators Marlena Grodzicka Myslak - violin, Krzysztof Kubański - agent, Fabian Włodarek - accordion, Grzegorz Piasecki - Double Bass. 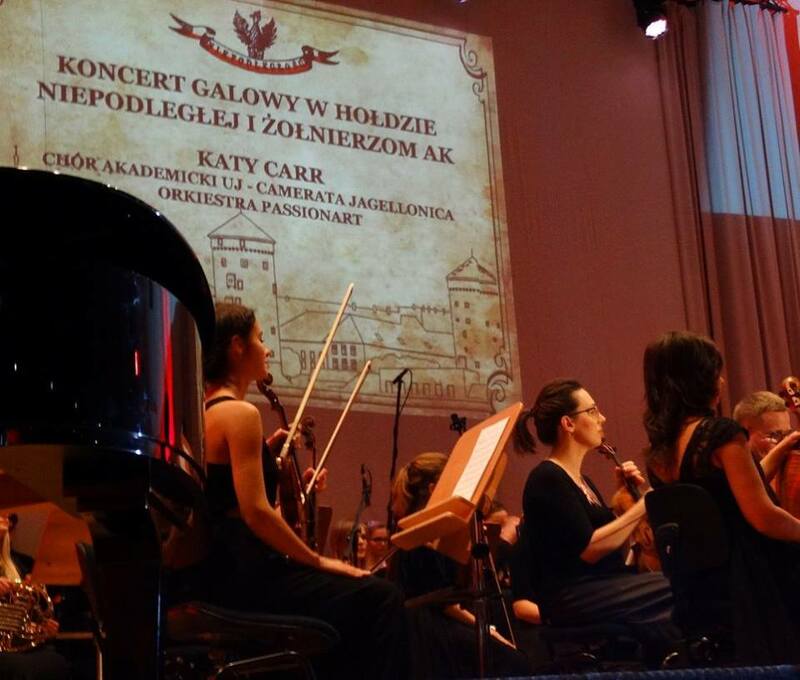 Last Friday we celebrated the 99th anniversary of Poland's independence during an occasional concert organized jointly with the Mokotów District Office. Warsaw. 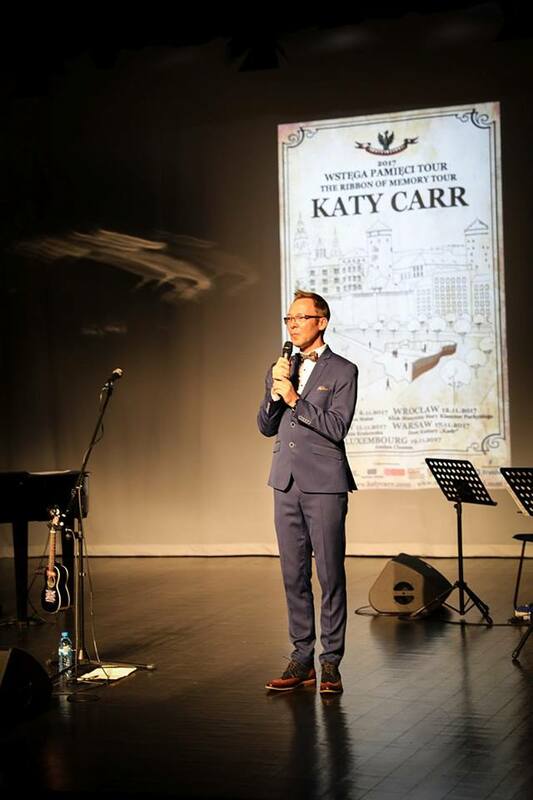 Katy Carr, British singer and multi-instrumentalist of Polish origin, fascinated by our country and its history, sang to the audience, among whom we had the honor of hosting our World War II veterans, heros and heroines. 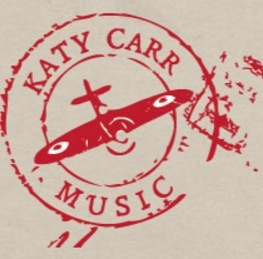 The inspiration for Katy's songs reflect important momentsin the history of our homeland through both cultural and military experience. 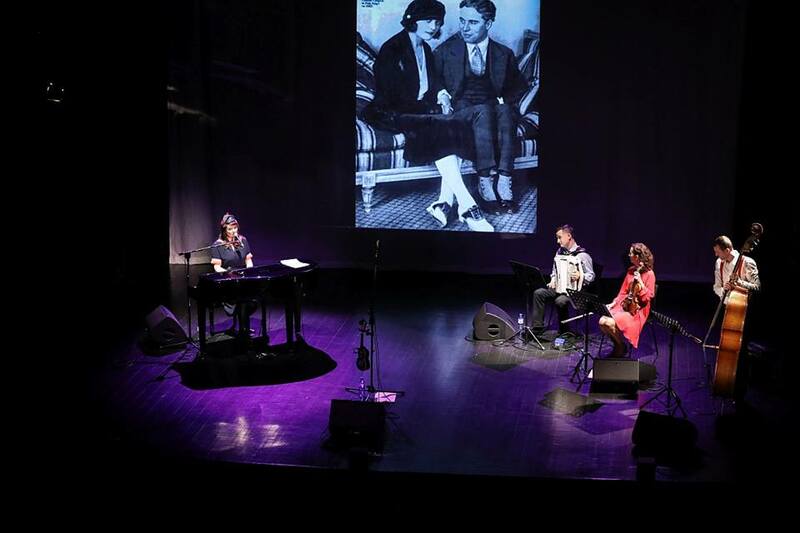 Apart from the Katy's song creations, there were no lack of pre-war Polish hits and through Katy's fresh and new interpretations of our favourite songs the audience responded by giving Katy Carr and her group of Polish musicians several encores. 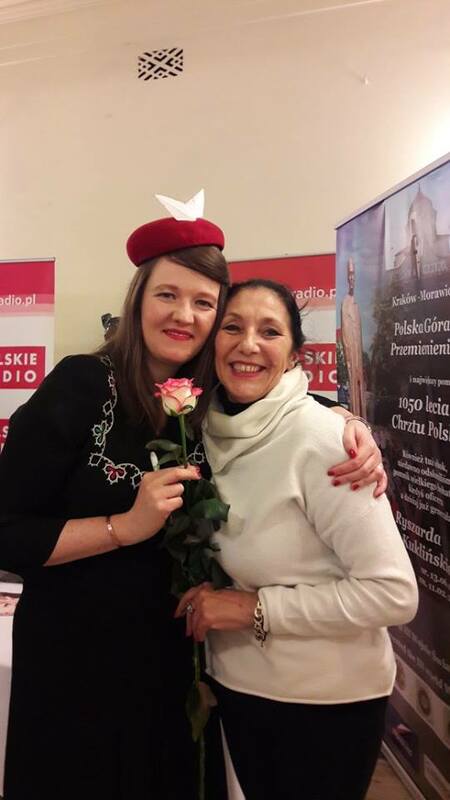 W ubiegły piątek świętowaliśmy 99 rocznicę odzyskania przez Polskę niepodległości podczas okolicznościowego koncertu zorganizowanego wspólnie z Urząd Dzielnicy Mokotów m.st. Warszawy. Katy Carr, brytyjska wokalistka i multiinstrumentalistka polskiego pochodzenia, zafascynowana naszym krajem i jego historią, zaśpiewała dla publiczności, wśród której mieliśmy zaszczyt gościć Bohaterów: Weteranów II Wojny Światowej. 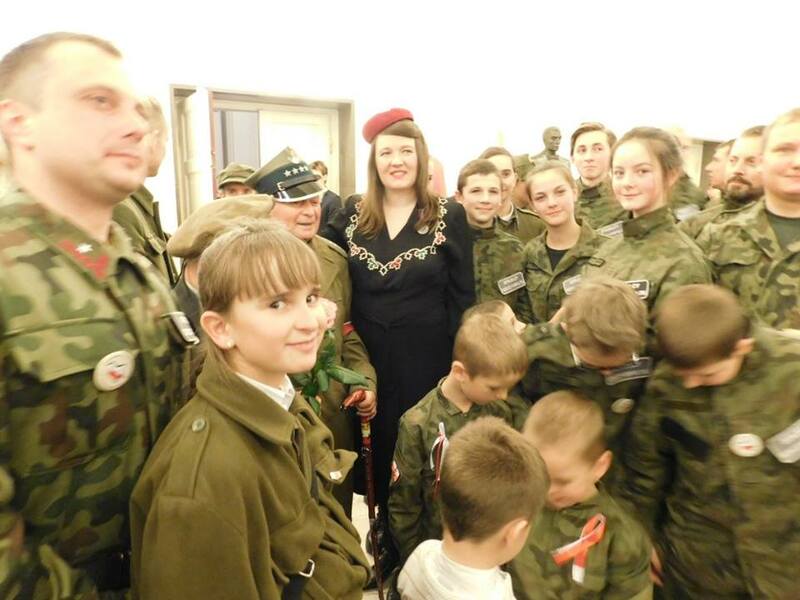 Inspiracją dla wykonanych przez Katy utworów były ważne momenty historii naszej ojczyzny, zarówno kulturalnej, jak i wojskowej. 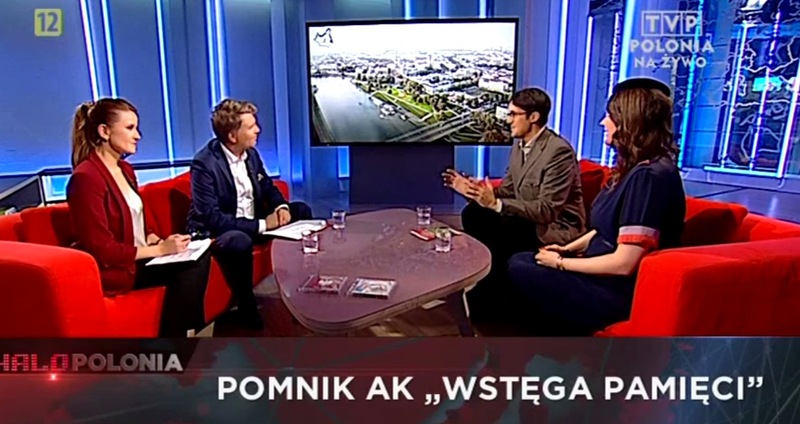 Oprócz autorskich kreacji nie zabrakło znanych wszystkim przedwojennych polskich przebojów w nowej interpretacji, a także, w odpowiedzi na owację, bisów. Alexander Smaga for the film projections and visuals. 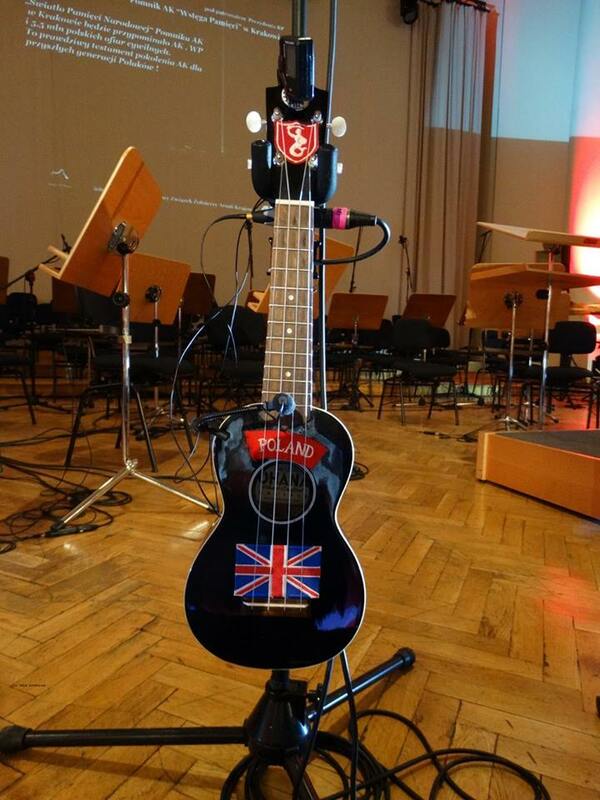 loking forward to returning to you soon! 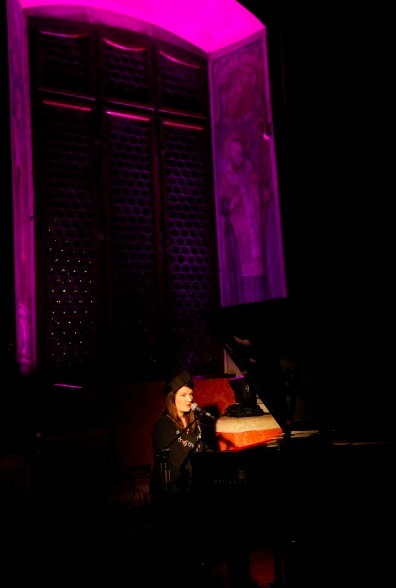 Katy is a great live performer and her very intimate concert at the Ancien Cinema, Vianden (LU) was both captivating and inspiring. 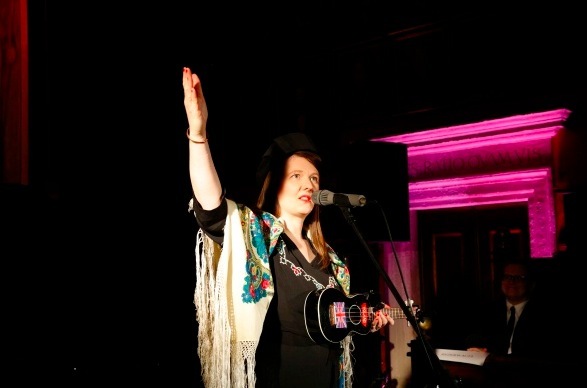 She is a devoted retro lover but above all she is an original songwriter and composer. 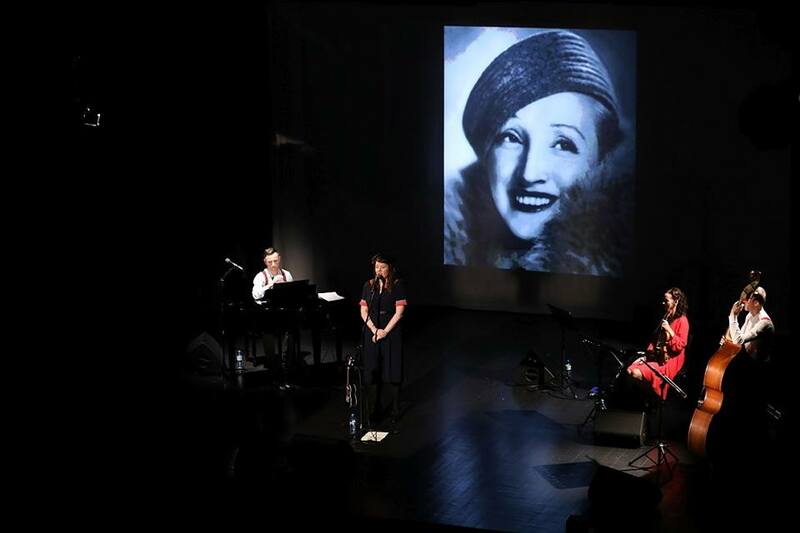 Many of her original songs, illustrated with documentary films that she dig out from various European archives, are dedicated to those humble heroes of Poland whose stories of great courage deserved not only a tribute but also its legend. Katy has that amazing talent of transforming histories to emotions that allow them to live with us much longer than any textbook would do. Katy alive seems to sounds better then in her records and not only entertains but simply touches your soul. 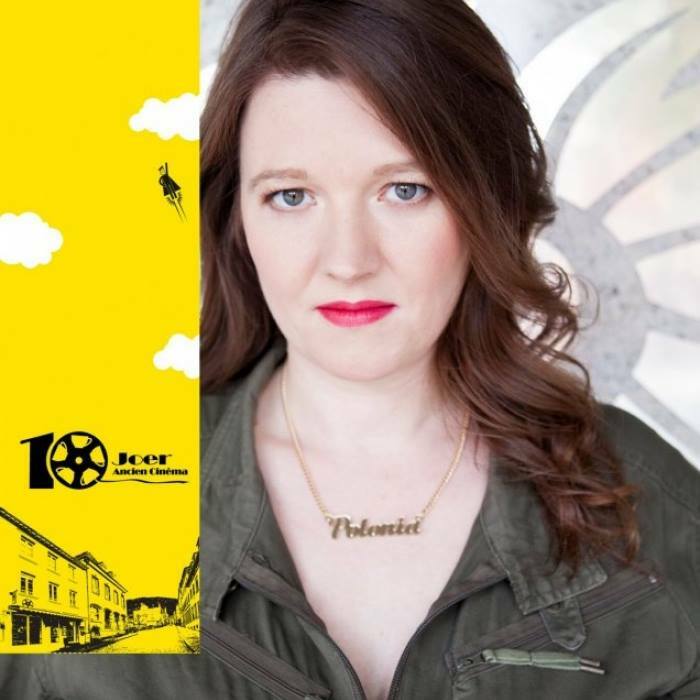 Katy jest świetnym wykonawcą, a jej kameralny występ w Ancien Cinema w Vianden (LU) był nie tylko magiczny, ale i inspirujący. Szczerze oddana stylowi retro, jest przede wszystkim świetną autorką tekstów i kompozytorką. 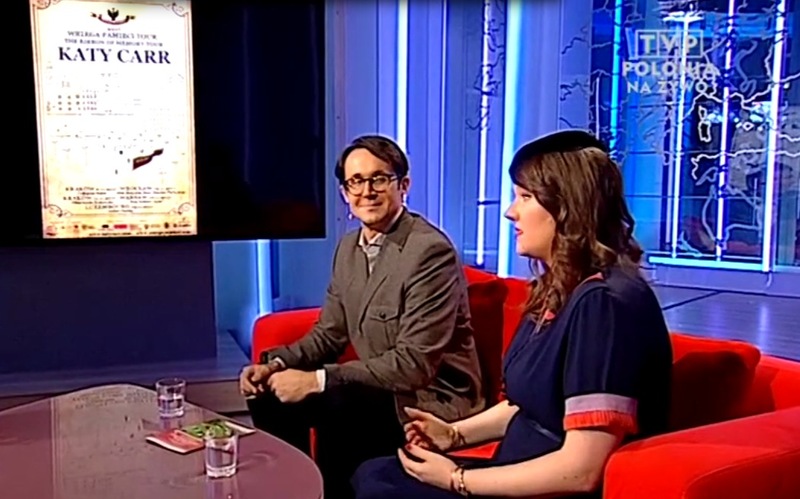 Wiele z jej utworów, ilustrowanych dokumentami wydobytymi z różnych filmowych archiwów Europy, poświęconych jest tym skromnym polskim bohaterom, których historie wielkiej odwagi zasługują nie tylko na uznanie ale i swoją legendę. 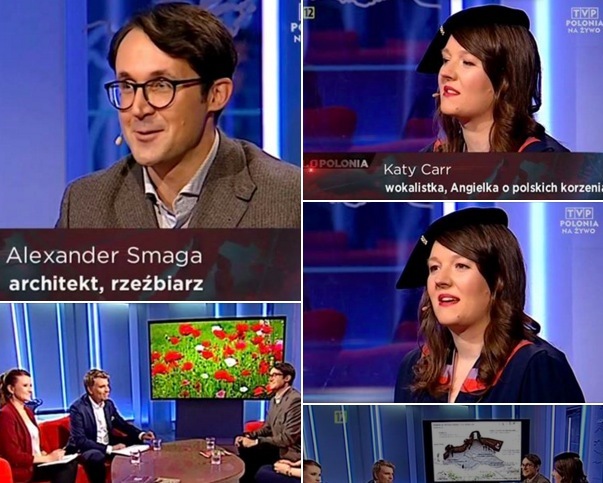 Katy ma tę niesamowitą zdolność opowiedzenia historii za pomocą emocji, dzięki czemu żyją one w nas znacznie dłużej niż po jakiejkolwiek lekcji. 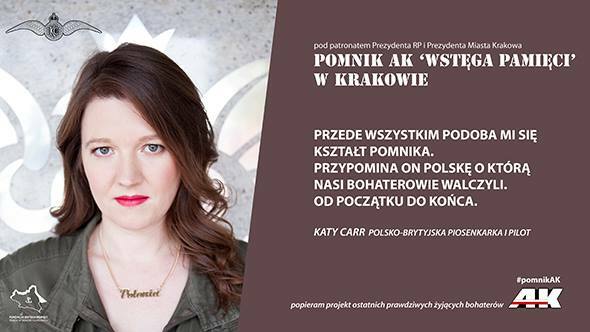 Katy na żywo brzmi chyba lepiej niż na swoich płytach, i nie tylko daje radość słuchania, ale i dotyka duszy. Rest In Peace to our dear beloved brother and friend Benny Wajcenburg. I lit a candle for you Benny in Krakow your home town. 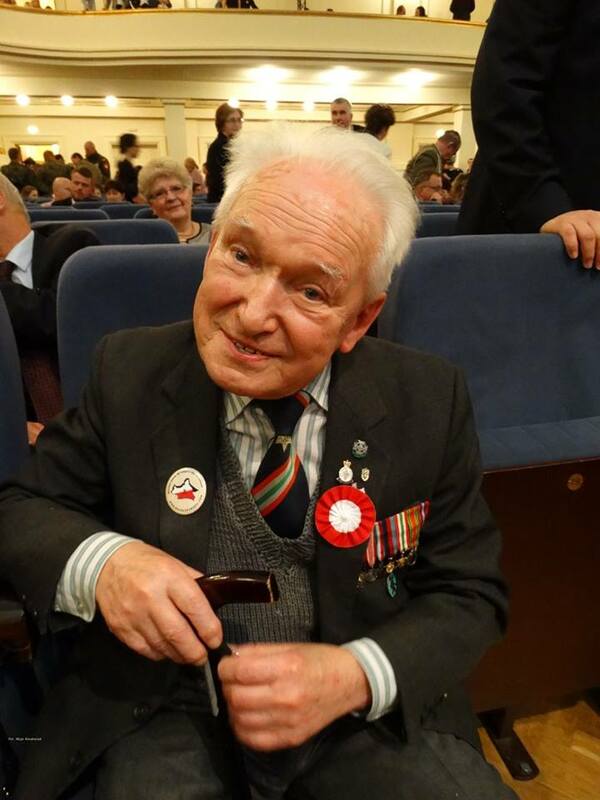 RIP and thank you for your kindness and love of your homeland Poland. 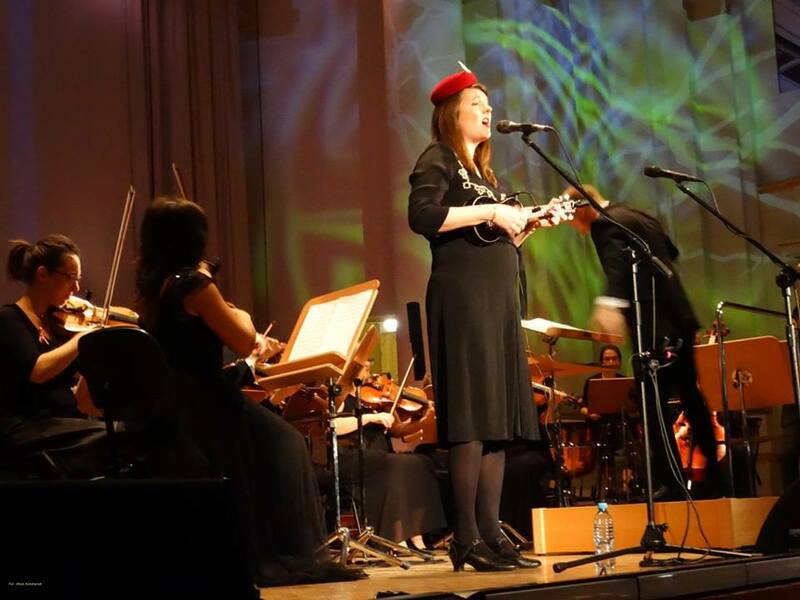 I dedicated a song to you at my concert at the Krakow Filharmonia on 11th Nov 2017. My good friend and fellow Pole Benny Wajcenburg passed away last night. 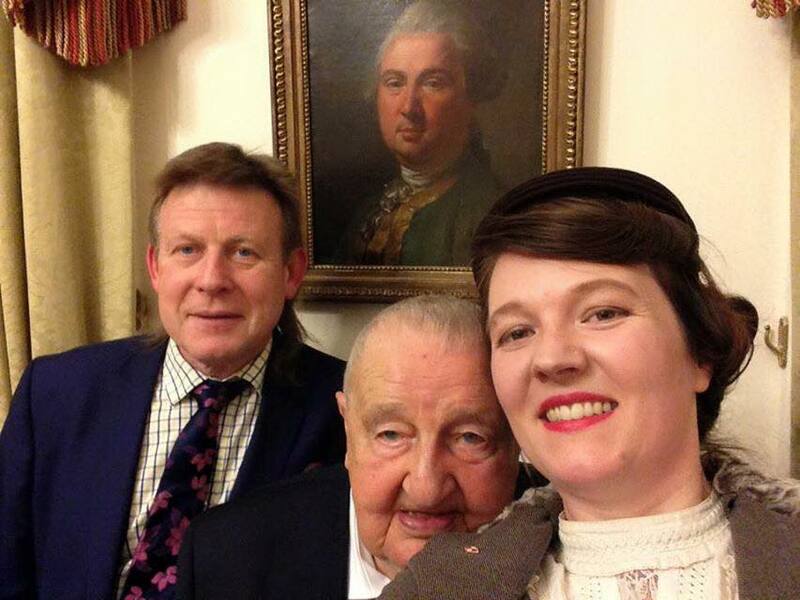 Benny a native of Krakow and a survivor of The German Holocaust came to the U.K after WW2 with The 2nd Polish Corps. Prior to his stroke he returned to his Jewish Faith. I have fond memories of taking him to many of North London Shuls. 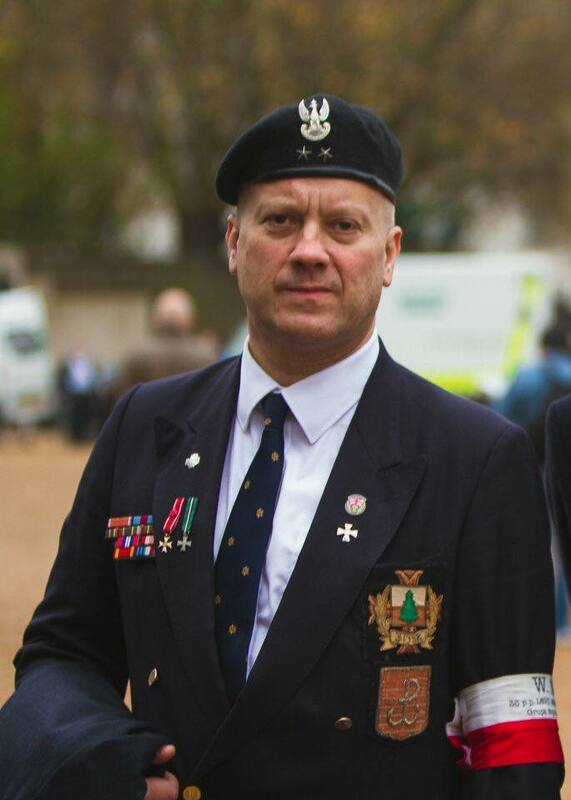 Benny Wajcenburg epitomised how easy it was to both a Proud Pole and a Jew of great kindness, warmth and compassion for others.